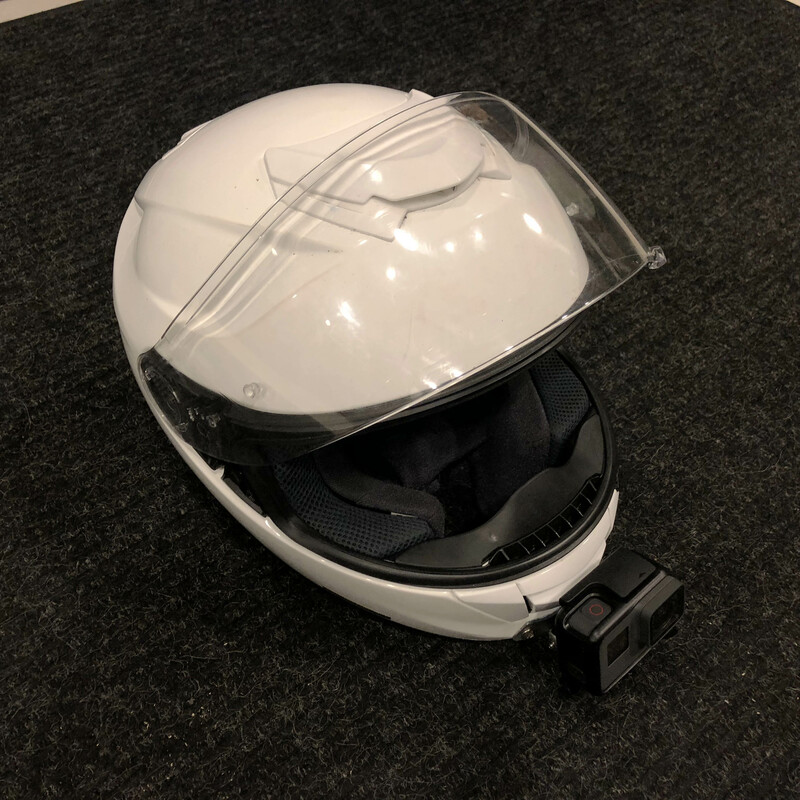 This was a fun little afternoon project to make a GoPro Mount for a Shoei Motorcycle helmet. While the results may appear quite simple, this little mounting bracket and camera arm took the better part of a day to design and fabricate. 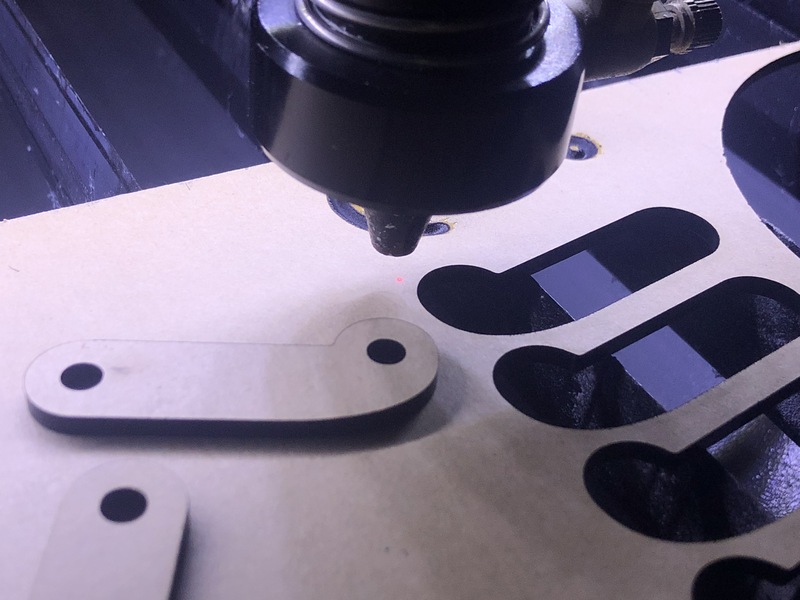 This is design in its most raw form: an idea is born, and 6 hours later, the product is being tested. 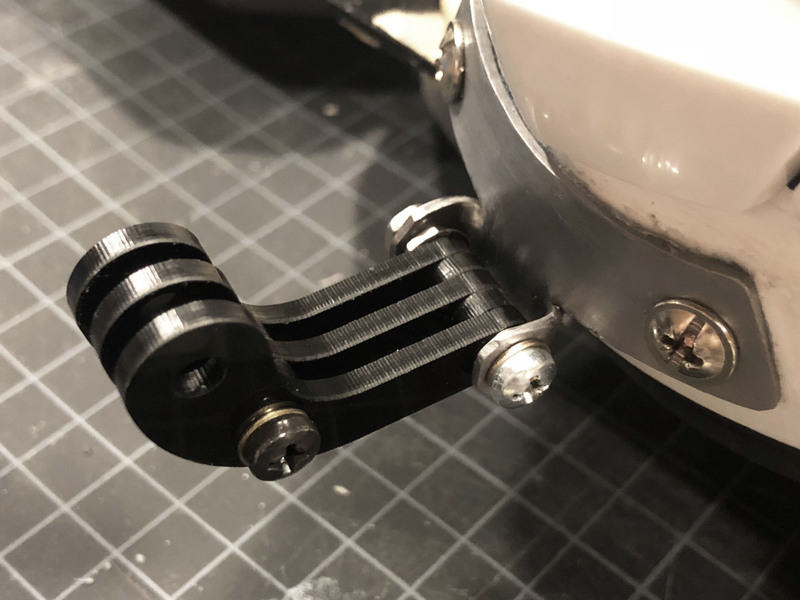 I fabricated a bracket from sheet aluminum, hammered to it shape, drilled and epoxied it to the helmet, then laser cut a custom arm assembly for the camera housing. The end result was simpler and stronger than anything I could have bought. The project was born out of necessity. 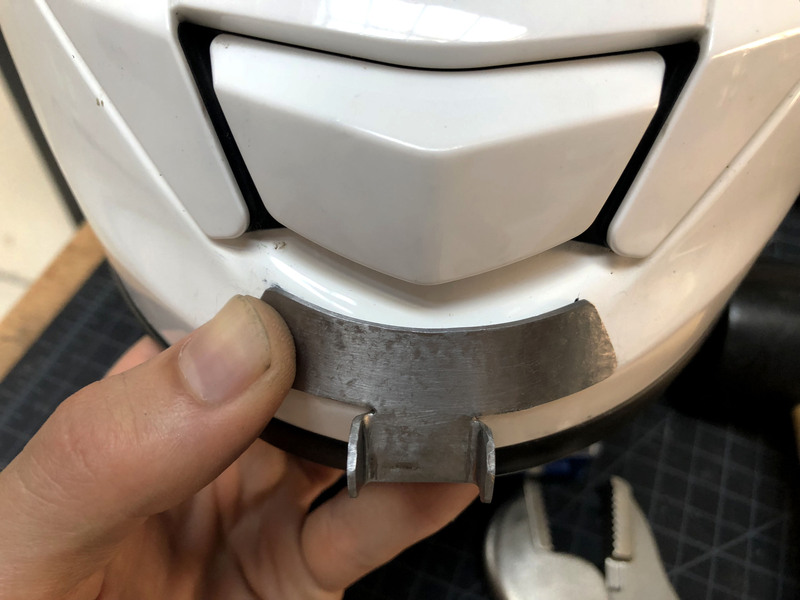 There was no good spot on the front of this Shoei helmet to put the standard GoPro adhesive mount, and since I prefer the chin position for shooting POV footage, I was forced to make my own. 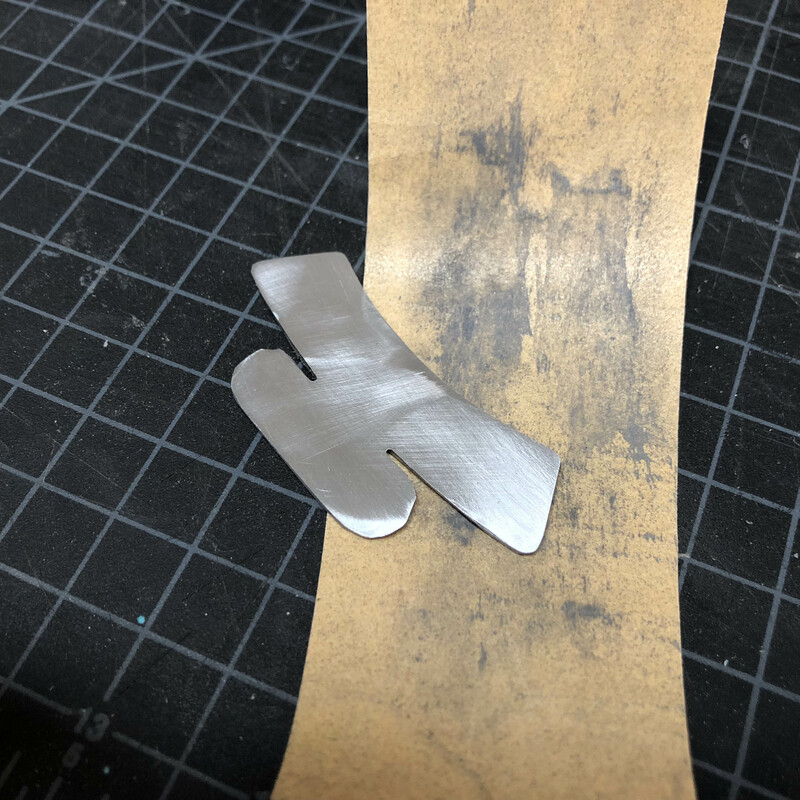 I started with a sheet of 2mm aluminum and cut the shape out with a dremel. 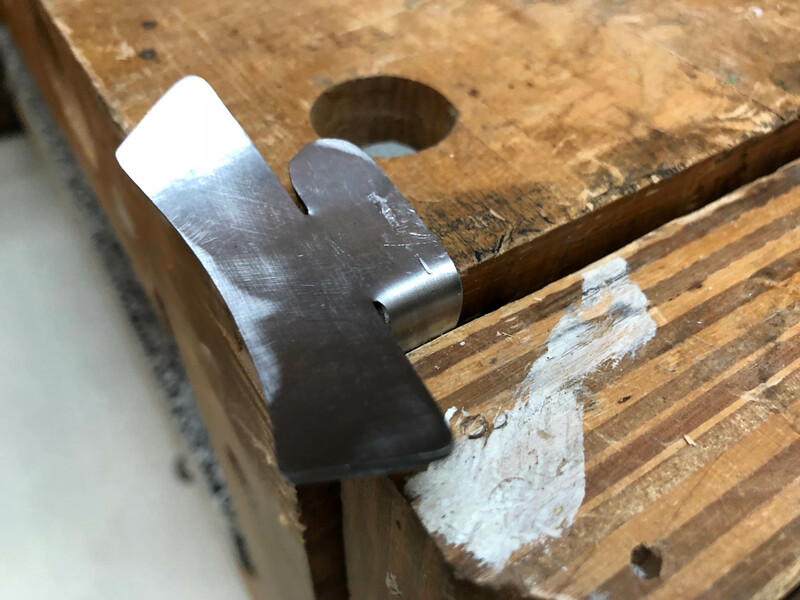 I cleaned the part on a belt sander and rounded the corners with 320 grit. To match the curvature of the helmet, I hammered the aluminum on a disk of the correct radius. 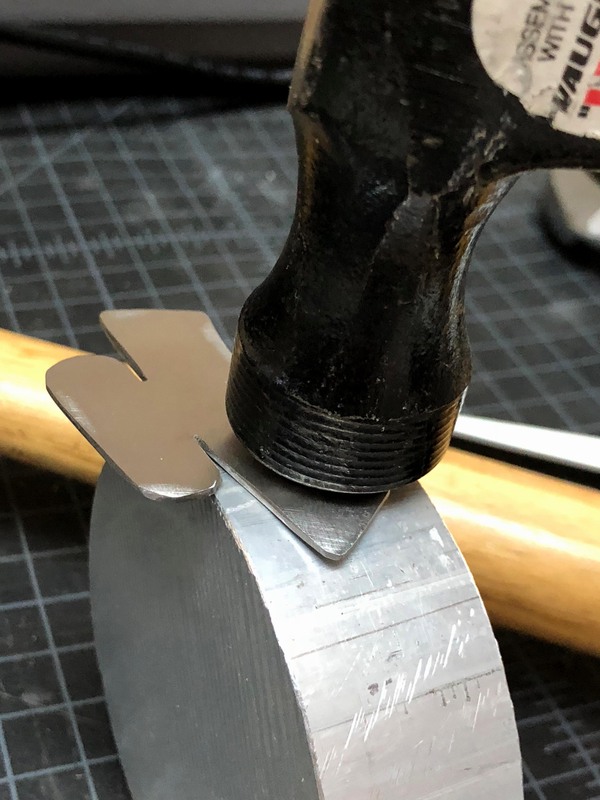 Hammering on a curved surface yields a very accurate curvature that is superior to bending (which usually causes creases in the metal). 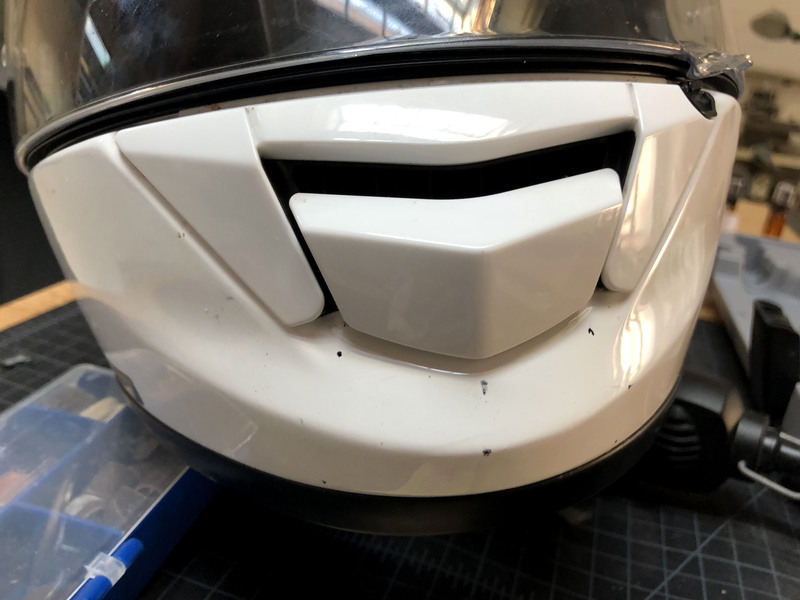 The result was a gently curved piece of metal that matched the helmet perfectly. 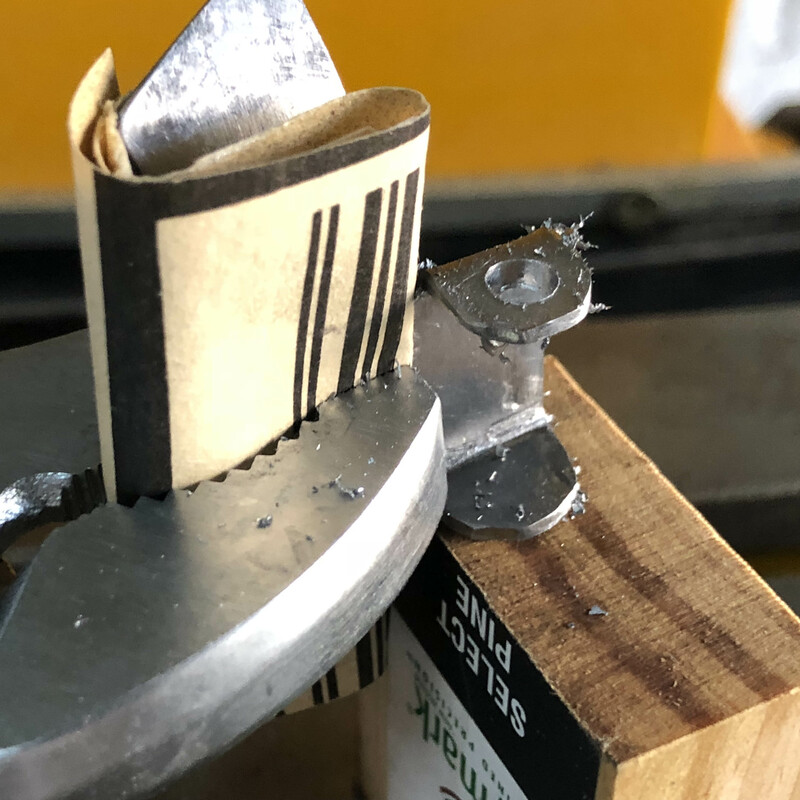 After getting the shape correct, I put the bracket in a wooden vise and bend the ears down. I put holes into the ears using a drill press and a 5mm drill bit. To prevent marring the surface I wrapped it in paper and supported it with wood. At this point I tested the fit and prepared to adhere it into the helmet using CA glue. I scuffed up both sides with 320 grit and cleaned it with Isopropyl alcohol before attaching it permanently. The CA glue is very strong, but for redundancy, I opted to drill through the metal and add two additional screws. 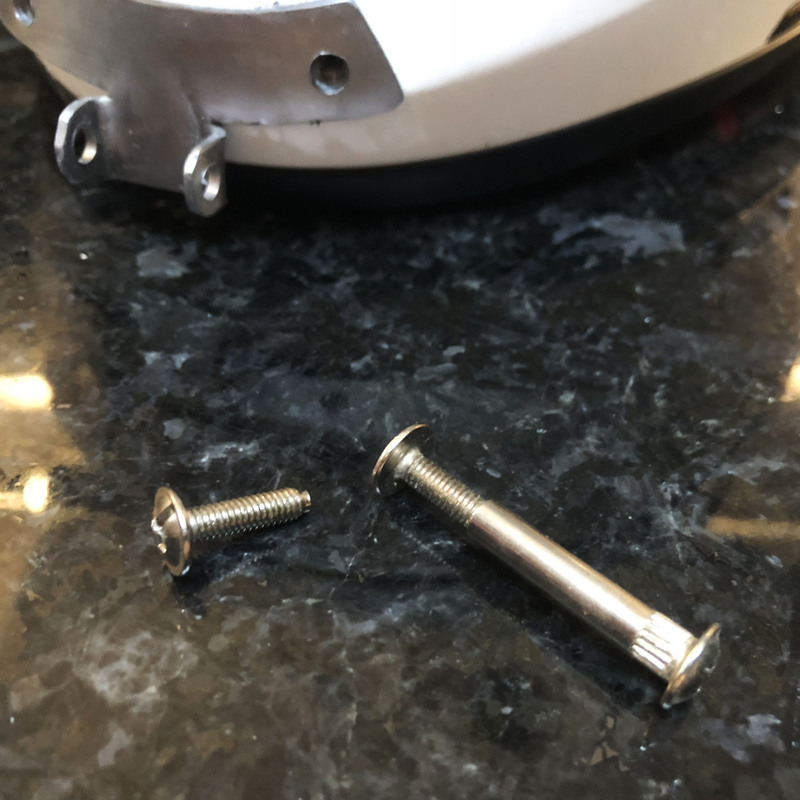 In the interest of safety, I used screws that were less than the thickness of the helmet when tightened. 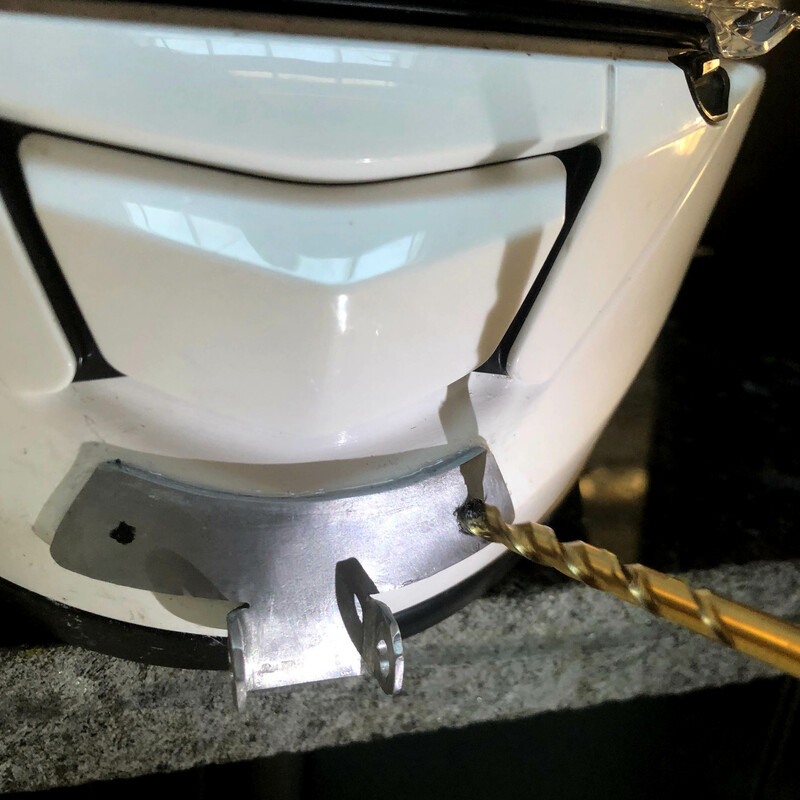 In the event of a serous accident, the screws are flush on both sides to stop them from pushing through the helmet. Next, I laser cut the arms from 1/8" black acrylic (the brown paper is a protective sticker). I ended up changing the shape shown here because it did not allow the full range of motion I wanted. The final arm was an "L" shape. I decided to add a screw in the middle so that I could remove the GoPro housing without the arms separating. I also cut a set of matching spacers. The final assembly. Here you can see the second screw that keeps the arm together even when the housing is removed. There are washers at all points of contact with the acrylic. Two nuts on the left side allow the user to tighten the mount and then lock it in place. 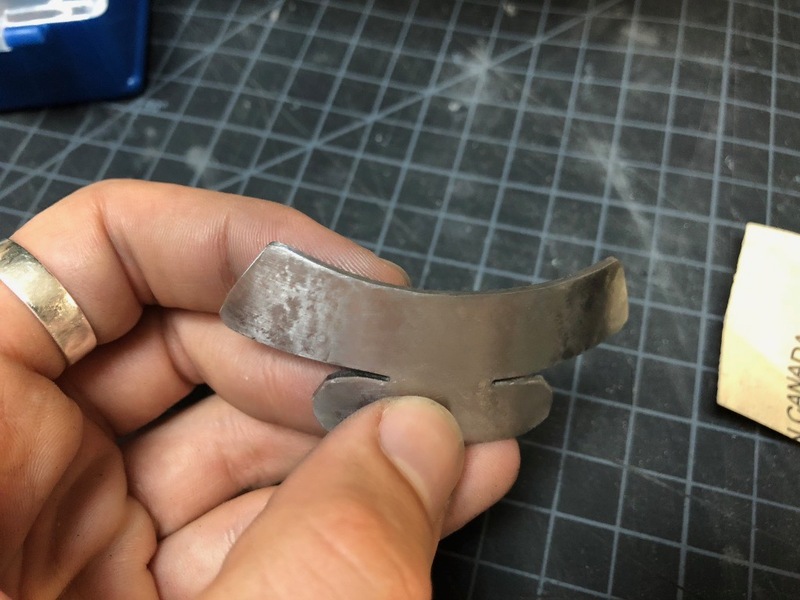 This bracket is the smallest on the market and likely the strongest as well. With the GoPro Housing attached, the overall size remains very small. 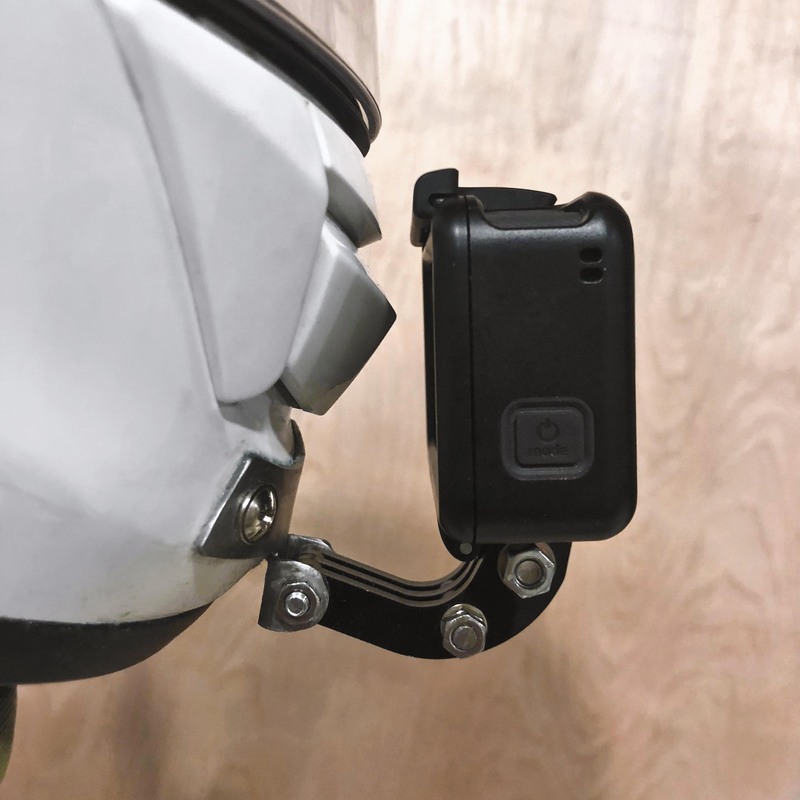 There is room to adjust the camera as well; by lowering and raising the arm, the camera can point up or down while still remaining close to the helmet. From afar, the mounting bracket all but disappears. Its location and design keeps the helmet visually symetrical and the weight evenly balanced. 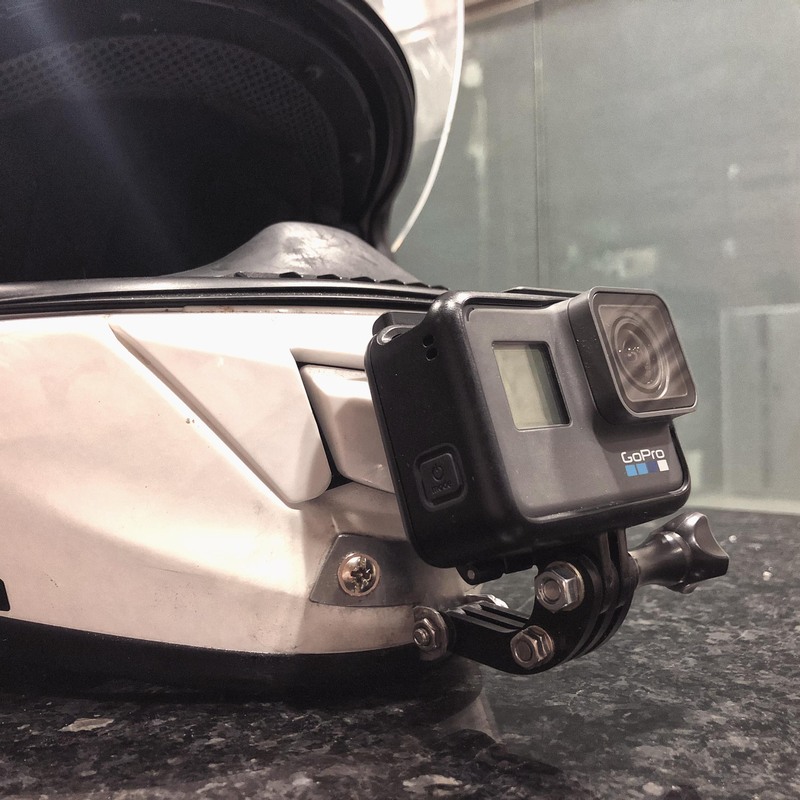 Because it was tailor made for this helmet, this is the lowest profile chin mounted camera set up possible with a GoPro. 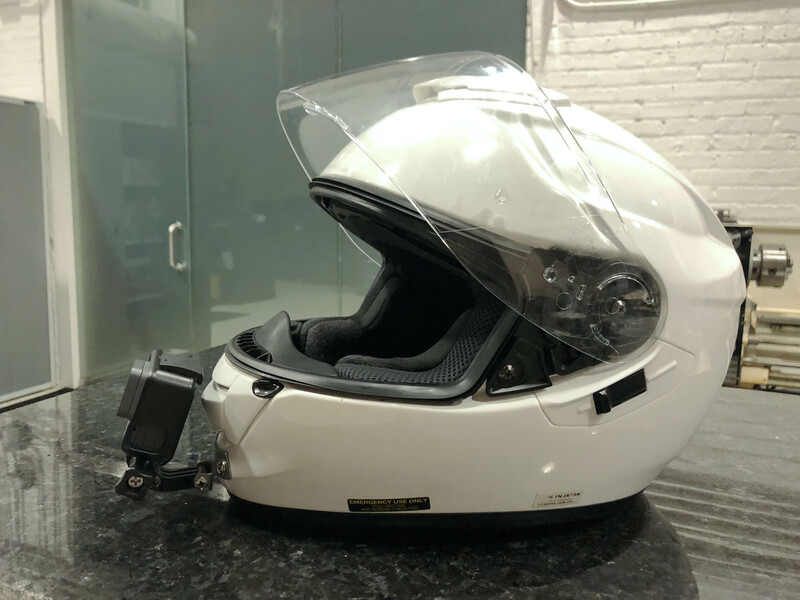 Additionally, it should be noted that the design does not interfere with the helmet's ability to sit flat and the camera is not visible when the helmet is on. The venting in the front is still accessible as well. 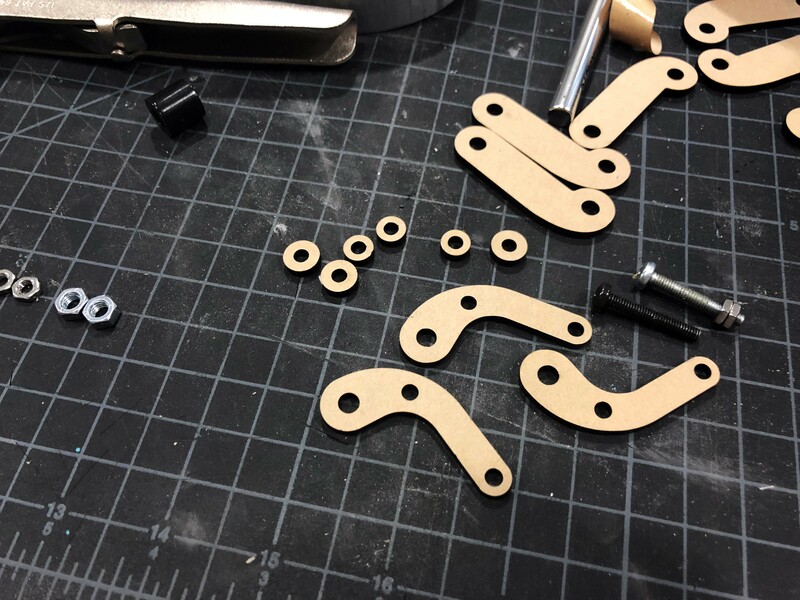 This was a fun and challenging little project full of measuring, Dremeling, hammering, drilling, laser cutting, sanding, gluing, polishing, screwing, and documenting. The bracket has stood up to many miles of abuse and remains rock solid. For more details on how I completed this project, feel free to contact me here.